Pierce College has selected four accomplished alumni to honor during the 2015 Distinguished Alumni celebration. Nominees are selected based on their achievements in academics, business, community or humanitarian support, or personal triumph over adversity. This year's honorees provide inspirational examples of the impact Pierce College has on students as well as the community. As deputy mayor of Tacoma, Victoria Woodards is well known in the region for her leadership in various capacities. Woodards currently serves as chair of both the Public Safety Human Services and Education committee as well as the Tacoma Gang Project. Additional committee involvement includes the Tacoma-Pierce County Law and Justice Oversight Committee and the Pierce County Law and Justice Council. In addition, Woodards is the former chairwoman of the Washington State Commission on African American Affairs, and also helped produce Ethnic Fest, Tacoma-Pierce County's largest cultural celebration. As a proud veteran of the United States Army, Woodards is also highly involved with the Rally Point/6 Veterans Board. 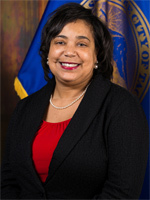 She also serves as the president and chief executive officer of the Tacoma Urban League. Raised in Tacoma, Woodards graduated from Lincoln High School before enrolling at Pierce College. When United States Senator Patty Murray presented Lincoln High School Social Studies teacher Nathan Gibbs-Bowling with the 2013 Milken Educator Award, it may have been a surprise for him – but not for his students. 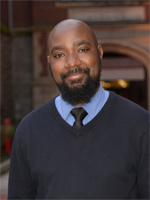 Gibbs-Bowling has been described by colleagues and students as part cheerleader, drill sergeant and professor, and holds his students to high standards. Established in 1987 as an initiative of the Milken Family Foundation, the Milken Educator Award program rewards and inspires excellence in education by honoring top educators around the country with $25,000 awards. The program targets early- to mid-career educators for impressive achievements and the promise of what they will accomplish in the future. Gibbs-Bowling earned an associate degree from Pierce College, and bachelor's and master's degrees from The Evergreen State College. While serving a four-year sentence for assault at McNeil Island Corrections Center in his teens, Brandon Stogsdill decided to make a change and turn his life around. Upon his release, he enrolled at Pierce College Fort Steilacoom and ultimately graduated with honors. 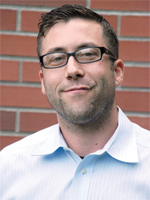 Stogsdill transferred to the University of Washington and eventually earned a bachelor's in psychology and a master's in clinical psychology. His memoir, "The Boy with the Gun: From Incarceration to Higher Education," documents his journey from convict to counselor. He has become an accomplished author and psychologist. As a child and adolescent therapist at Sound Mental Health, Stogsdill works with troubled youth, often using extreme sports as a way to transfer risky behavior into constructive alternatives. Stogsdill himself participated in extreme sports such as snowboarding and riding BMX bikes, and found that the adrenaline rush helped to keep his life on track. Sunshine Eversull enrolled at Pierce in 2001 as a first-generation college student, and single mother of two young children. As a participant of the TRIO program, Eversull graduated in 2003 with a 3.79 grade point average. In 2003, she received the Frank Russell Pierce College Foundation Scholarship, and also served as a student speaker at the Pierce College Scholarship luncheon in 2003. Her time at Pierce was only a glimpse into the academic success she would achieve in the future. 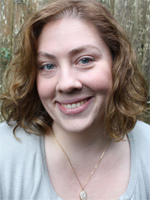 She transferred to University of Washington, where she became a Phi Beta Kappa graduate in 2006. Eversull then went on to Seattle University School of Law, where she served as staff editor of the Seattle Journal for Social Science. Currently, Eversull serves as a Federal Attorney Advisor with the Social Security Administration Office of Disability Adjudication and Review. Eversull credits much of her success and determination to her tumultuous childhood. She experienced homelessness off and on as a child, but this experience, she says, provided the determination and persistence she needed to work hard and improve her position in life.